MGM-owned movie service Epix has announced the launch of its new “Epix Now” streaming service. The new 4K-capable service offers access to thousands of movies and also original Epix TV series for $5.95 per month. EPIX NOW costs only $5.99 per month and will give subscribers the ability to access the network’s exciting slate of new original series, including Pennyworth which tells the origin story of Batman’s butler, Alfred; Godfather of Harlem starring Forest Whitaker; Perpetual Grace, LTD. from MGM featuring Sir Ben Kingsley and docu-series PUNK from Iggy Pop and Elvis Goes There with Elvis Mitchell. Subscribers will also be able to watch returning seasons of the critically acclaimed original series Get Shorty, Berlin Station and Deep State as well as thousands of hit Hollywood movies and classic film franchises. The service also offers movies ranging from the classics to modern hits, such as “Mother,” “Jack Reacher: Never Go Back,” “Iron Man 2,” and many more. The streaming service offers some of its content in 4K, and an offline viewing option is also available. Subscribers will have access to the four Epix live channels as well. 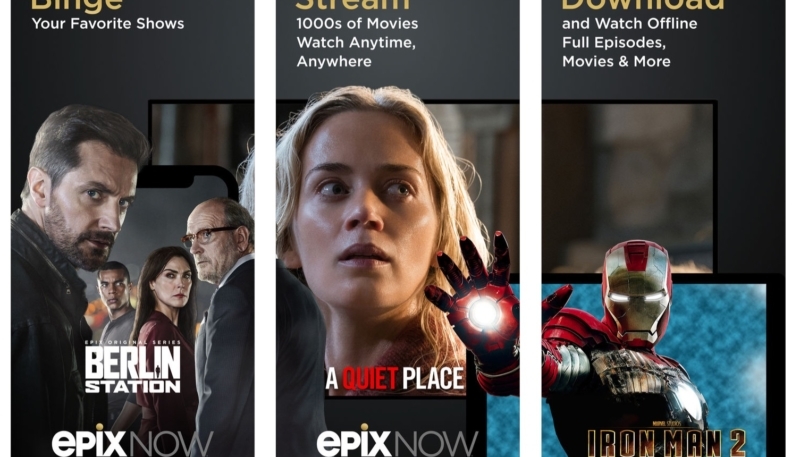 New customers can subscribe directly from their iPhone, iPad, Apple TV or Android device through in-app purchase in the EPIX NOW app. A a 7-day free trial is available.